A new treasury rule, effective May 1, 2011, will protect recipients of federal benefits from garnishment on their bank accounts. A creditor with a judgment against you can potentially levy or garnish your money in a bank account. These judgment creditors, however, cannot grab money that come from certain sources, including Social Security, Supplementary Social Security Income, veterans benefits, social security disability and some others. In the past, banks would just allow the funds to be frozen and the account holder could not get their money. The account holder would typically have to go to court to defend the levy or garnishment and show the money in the account came from a source that could not be garnished or levied. The new rule puts the burden on the banks. If a bank receives a garnishment order or levy, it must now determine if the bank account has protected federal benefits electronically deposited into the account within the previous two months. If the bank discovers that there are federally protected money, it cannot include those funds in the account freeze. 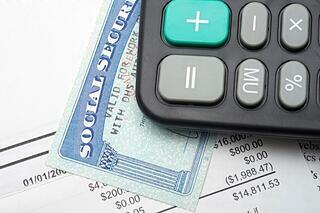 Keep in mind that federal benefits received via paper check are not protected by this new rule. Thus, federal benefit recipients may want to consider switching to electronic deposit of their benefits. A major change of the Bankruptcy Code in 2005 was that consumers over the median income level may be ineligible to file a Chapter 7 and unable to wipe out their debt. For purposes of determining your median income level and whether you are eligible for a Chapter 7 bankruptcy, social security benefits are not considered as income. Therefore, you will still be eligible for a Chapter 7 bankruptcy even if your household income may be over the allowable median income level including any social security benefits received by the household. Need debt relief help? Please feel free to contact a personal bankruptcy attorney in one of our New Jersey offices to discuss any questions that you may have concerning garnishments or bankruptcy. You can call us at 973-870-0434 or schedule a free bankruptcy consultation online.